Miss Teen Belize delegates: 15-year-old Grace Brown (San Pedro), 17 year-old Vineesha Price (Belize City), 18 year-old Kiah Pastor (Belmopan), and 15 year-old Julene García (Toledo) were officially sashed on Saturday, April 29th. Hosted at Finn & Martini, the ceremony was a prelude to the upcoming activities prior to the Miss Teen Belize pageant on Saturday, May 27th. Vivian Noralez, Miss Petite Teen Belize 2016-2017 and pageant organizer, says that with the help and support of many friends and businesses, she believes that Miss Teen Belize can really make her mark in the international pageant. The pageant will be hosted at Mahogany Bay Village at 7PM, with a red carpet event and a poolside pageant at Shaken Bar & Restaurant. The winner of the pageant will travel with Noralez to Ecuador on August 30th to be crowned, and will compete in the ‘Miss Teen Earth International’ pageant. Held under the theme, “The Natural Essence of another Nature”, Miss Teen Earth strives to promote ecotourism and environmental issues around the globe. Afterwards, they will travel to Panama City on September 27th, where the winner will compete in Miss Teenager Universal. 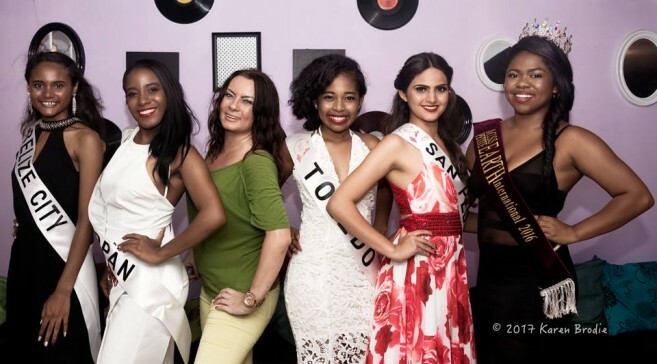 In addition, Noralez stated that since two previous contestants representing the Cayo and Dangriga District have withdrawn from the pageant, interested persons in those districts can apply to fill those spots. Mary Cruz Cardona Galindo, Miss Honduras is Reina de la Costa Maya 2018!